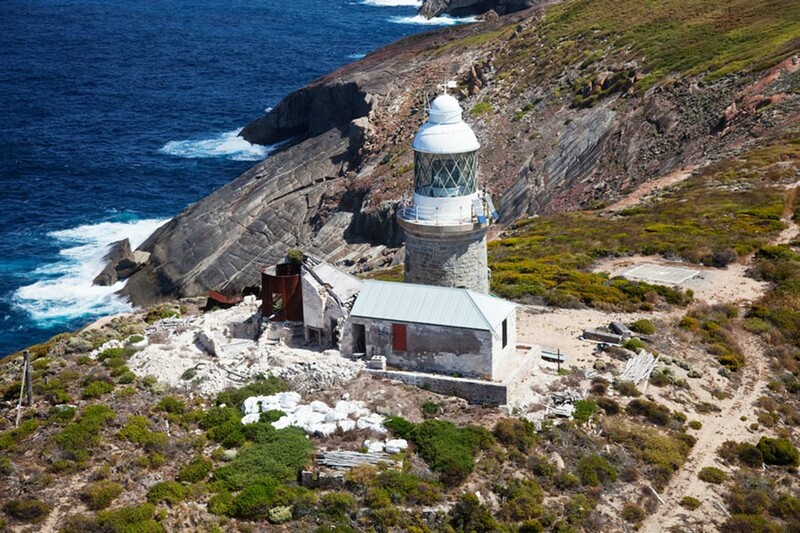 Breaksea Island Lighthouse | Lighthouses of Australia Inc. 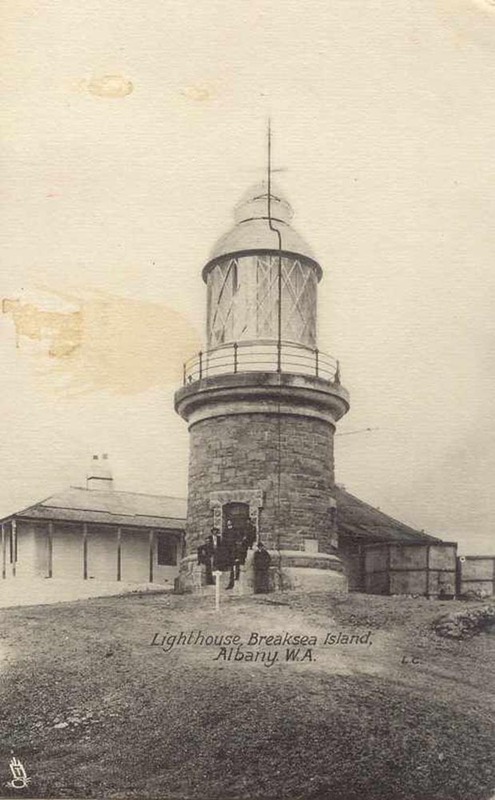 The first tower on Breaksea Island was commenced in May 1857 by Royal Engineers under Capt. Wray. The cost was borne by the Imperial Government with all materials sent from England. Made to a design by the Colonial Lighthouse Engineer at the Board of Trade in London, the 13.1m high octagonal cast-iron tower was imported from England and assembled on Breaksea Island at the entrance to King George’s Sound by convicts in 1858. The lighthouse was lit by a 2nd order catadioptric light with oil burners and was placed 116.7m asl and was visible for 9 leagues (27 NM). The island was connected to Albany by telephone in 1885. 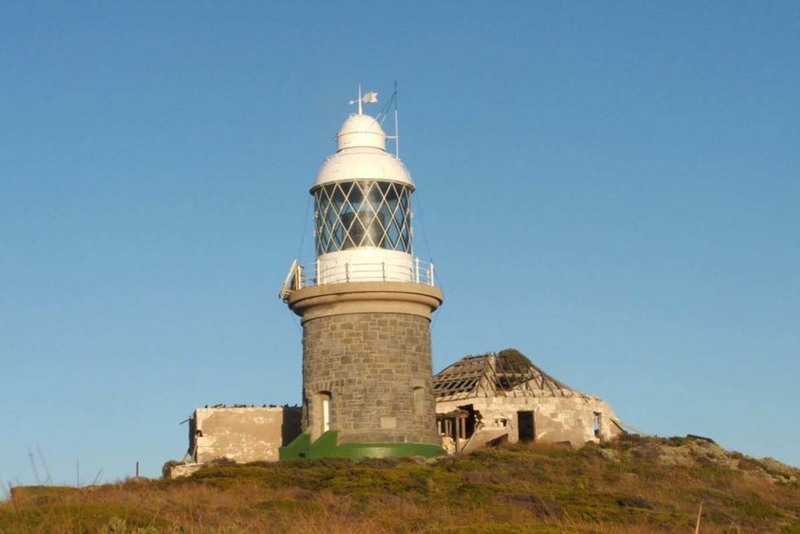 The current tower in rough dressed stone and standing 7.3m tall was built in 1901 and was given a Chance Brothers 1st order fixed lens housed inside a massive 14′ (4.3m) lantern. The contract price for the tower was £2700. In 1915 the lens was valued at £3251. Manning ceased in 1926 and the light became lit by acetylene gas. Gas cylinders were pulled by seamen harnessed to a cart and later by jeep. In 1984 it was converted to Solar power. The lighthouse grounds are open all year round. The tower is not open to the public. The island could be accessed by boat or helicopter.